The month of May is the peak summer season not only in Kerala but throughout the country. Temperatures rise to as high as 35 degrees Celcius and sometimes, even beyond. So most travelers feel that May is not a good time to enjoy a holiday in Kerala. But to their surprise, some destinations in Kerala actually become ideal places for holidaying especially during peak summer. So if you plan well and keep a few tips in mind, you can certainly enjoy your vacation even in the hot month of May. Allow me to elaborate on things you need to know about May in Kerala. There are multiple benefits in planning your visit in May. 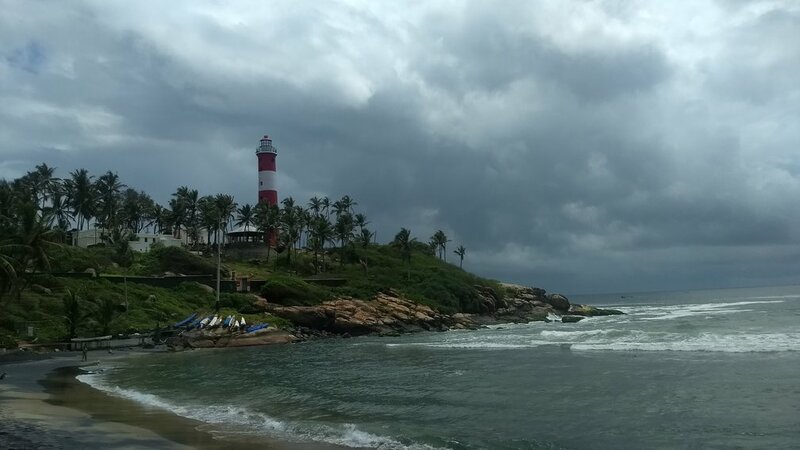 Although most parts of India are exposed to terrible heat and exhausting humidity, the hill stations in Kerala experience pleasant, even inviting weather conditions. The view of sunshine penetrating the mist every morning is a delight to the eyes. 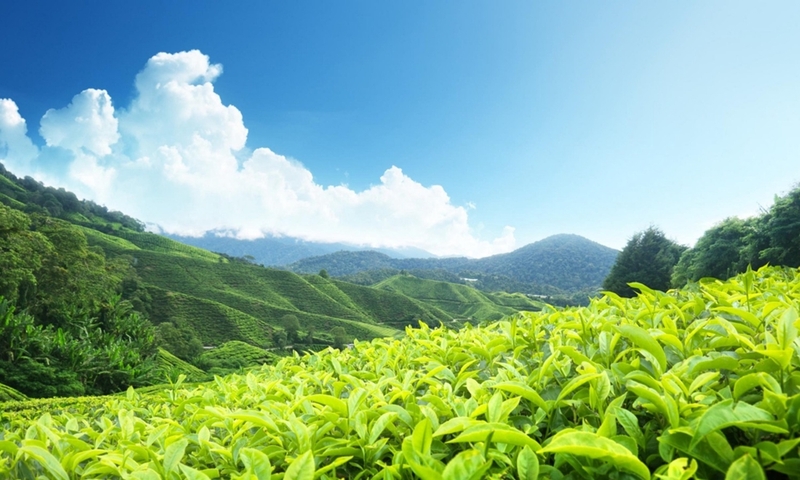 And as the day progresses, the lush tea gardens shimmer gloriously because of the bright sunshine. The weather, however, remains pleasant throughout the day. As you may have guessed already, the month of May is not the peak season for tourism in Kerala. So hotels and resorts offer rooms and other services at cheap rates. This allows tourists to experience maximum leisure and luxury at a minimum cost. And what causes greater joy to a traveler than to find out that he has got value for his money! Because of its wonderful topography, colourful culture and delightful natural beauty, the state of Kerala has found its place among the 100 most beautiful destinations in the world. Only when you visit the land of Kerala, you realise why it got the name “God’s own country”. Known for its contemporary charm and urban attractions, the city of Cochin welcomes hundreds of tourists every year. An ideal Kerala holiday starts at Cochin and ends at Cochin. Although sightseeing can be slightly unpleasant because of the heat, you can enjoy shopping at the malls and dining at the multi-cuisine restaurants in the city. The city has an international airport. Do not miss Fort Cochin during your trip. The town features grand palaces and monuments, interesting museums and serene beaches. Activities to do in May: To escape the heat, enjoy shopping at the malls, watch cultural shows and dine at the restaurants. You will also enjoy indoor sightseeing like a visit to the palaces and museums. If you plan on doing some outdoor sightseeing, it is advisable to do it early in the morning or in the evening but definitely not in the afternoons. One great place to visit during the summer in Cochin is Wonderla. During the summer season, one of the best destinations to visit in Kerala is Munnar. It experiences amazing weather conditions in the month of May. Whether it is daytime or nighttime, the weather is always pleasant. Munnar’s tea plantations, verdant valleys and scenic lakes are especially charming during May. A summer holiday in Munnar is the perfect way to escape the summer heat. Activities to do in May: Since Munnar enjoys pleasant weather in May, you can visit any tourist spot any time during the day. But something you definitely cannot miss in summer is a visit to the lakes of Munnar. So make sure to visit Mattupetty Dam, Kundala Lake and Echo Point. You can admire the natural beauty all day long and I highly recommend a boat ride. It’ll be fun. Thekkady is extremely popular among tourists because of its aromatic spice gardens, beautiful wildlife and serene lakes. Periyar National Park is one of the most significant attractions in Thekkady. It features charming flora and fauna along with the scenic Periyar Lake which offers the most amazing boating experience in Kerala. During the boat ride, you can spot animals sipping water from the banks of the lake. Take a look at some of the best destinations to visit in Thekkady. Activities to plan in May: The hill stations of Ramakkalmedu and Paruthumpara are ideal places to visit since they allow you to escape the heat. Thekkady is famous for activities like nature walks, plantations walk, border hiking and camping. But May is not a good time for any of these activities. Check out the full activity list at Thekkady here. One place you can visit all through the year is the Periyar Lake. It offers bamboo rafting and boating. Bamboo rafting is not advisable during May but you can definitely enjoy boating in the lake since the boat they offer has a roof. The backwaters of Alleppey have become the epitome of pristine beauty. They offer unforgettable houseboat cruises which allow travelers to absorb the natural beauty around them at a relaxed pace. The villages on the backwater shores are especially charming. Activities to plan in May: Houseboat cruise is a tourist-favourite activity in Alleppey. During May, you need to select a houseboat which has 24/7 air-conditioning. Otherwise, the whole experience will backfire. The houseboat experience is liked by tourists not only because of the views but also because of the food served during the cruise. It is a complete delight for foodies as they get to experience the authentic taste of Kerala cuisine. You can also enjoy shikkara rides and canoe tours. But go for these activities early in the morning or in the evening. Kumarakom is a scenic backwater village located on the banks of the vast Vembanad Lake. It has tiny, colourful houses and lush greenery. You can explore the villages, interact with humble villagers and also enjoy backwater cruises. While houseboats cruises and speedboating take you through larger canals, canoes will take you to the mostly unexplored areas of the backwaters. One of the most famous attractions at Kumarakom is the bird sanctuary. It is home to many rare birds like wild ducks, herons, Siberian storks etc. Activities to plan in May: You can enjoy houseboats cruises. But just like what you would do in Alleppey, make sure to take houseboats with 24/7 air-conditioning. There are plenty of other activities you can enjoy in Kumarakom like bird watching, village walks, canoe rides, and toddy shop visits. But do not go for these activities in the afternoon. Known of its raw natural beauty and mysterious environment, the hill station of Wayanad is part of the Western Ghats. Wayanad offers you excellent opportunities for trekking. During the treks, you will be able to explore forests, mountains, plantations and waterfalls. Activities to plan in May: Although Wayanad is famous for trekking, the heat of May will not allow you to enjoy a great trekking experience. Instead, you could plan a visit to the caves and temples. 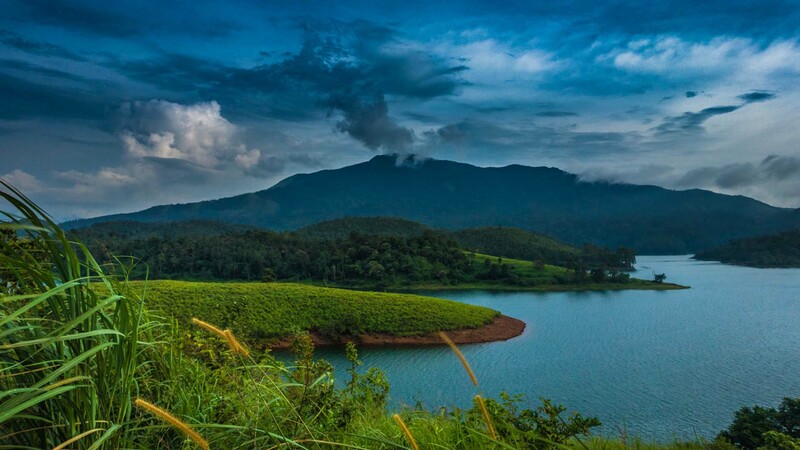 The lakes of Wayanad look beautiful in summer. So try to visit the Banasura Dam and Pookot lake and enjoy a boating experience. But do this early in the morning or during the evening. Thiruvananthapuram is the capital city of Kerala. It is also a popular tourist attraction because it has sightseeing spots, beautiful beaches and a few heritage sites as well. The buildings in Thiruvananthapuram feature colonial architectural style which is really attractive. Since the city is well-connected by air, rail and road, it is never a problem to reach the place. The beaches of Kovalam and Varkala have become famous for the exciting activities they have on offer. Activities to plan in May: During the month of May, an ideal destination to visit is the Ponmudi Hill Station since it will have a relatively pleasant climate. Even the drive to the hill station is an amazing experience because of the winding roads and the cool breeze. You can also visit the beaches of Thiruvananthapuram and enjoy the many activities there. But please visit the beaches only in the evening when the weather becomes slightly pleasant. Since May is the hottest month in Kerala, there are some places in Kerala which do not offer the same experience as they do during other times of the year. The backwaters become very humid and the beaches become extremely hot in the afternoons. So if you’re visiting the backwaters or the beaches, make sure to visit them either early in the morning or in the evening. However, you can enjoy houseboat cruises anytime during the day but they must have 24/7 air-conditioning. During summer, the waterfalls in Kerala are not in their usual glory. Some of them are even completely dry. So it is better to remove waterfall visits from your itinerary. Take note, however, that the Athirapally Waterfall will be having water. So if you’re someone who loves waterfalls, you can visit the Athirapally falls. But the others are not worth visiting. Although May is the hottest month of the year, a visit to Kerala will offer you many activities that you can enjoy even at this time of the year. 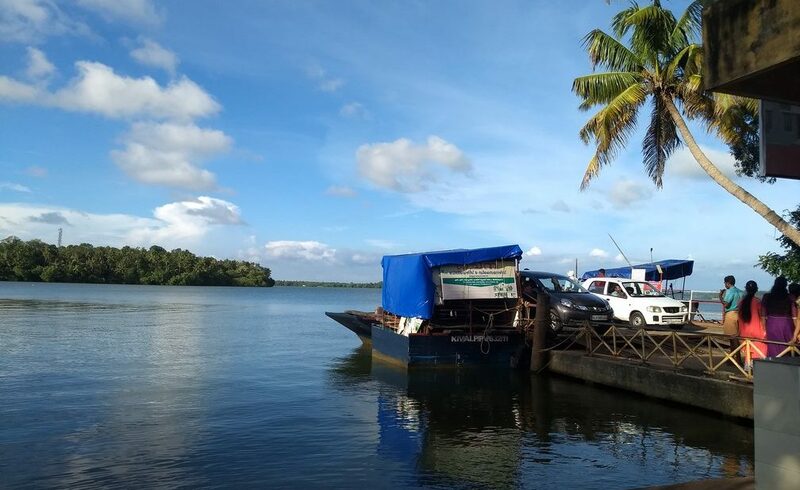 The houseboat experience in Kerala is unlike any other. The placid backwaters and scenic villages make for some exquisite views. Adding to the already marvellous experience is the sumptuous food they serve on the cruise. Everything about Kerala houseboats is wonderful. But please remember that the backwaters of Kerala experience a lot of humidity in May. So make sure to take a houseboat which has 24/7 air-conditioning. You have two types of houseboat cruises to choose from – one is a 4-hour day cruise and the other is an overnight stay. Kerala backwaters also offer canoe tours and boating also. But in May, you cannot enjoy them to the full. There are many elephant sanctuaries in Kerala. At these sanctuaries, you get a chance to befriend elephants by feeding them, bathing them and enjoying other activities involving them. And interestingly, at some sanctuaries, you even get to be bathed by an elephant. Some tourists also enjoy elephant rides but for me, personally, I feel like it is cruelty toward the animals. The craftsman and artisans of Kerala do not live in the cities. Their homes are in the villages. So you can visit them during a village tour. Their simplicity is very humbling. It is quite an experience to be amidst villagers and see them going about their daily routine work. They look much happier than the people of the city. And you’re left wondering if you can simplify your lifestyle and experience the same happiness. I’m saying that only because I have personally felt that way. The weather in May is obviously hot. But since the villages have a lot of trees and greenery around, it doesn’t feel that hot. Kerala is known around the world for its colourful culture. It is home to a number of cultural centres which beautifully portray the culture of Kerala through dance, music and drama. The most famous dance forms are Kathakali and Mohiniyattom. Some cultural centres even showcase Kalaripayattu, an ancient martial form which had its origin in Kerala. The shows not only give you an insight into Kerala culture but they are quite enjoyable too. A cultural show in Kerala usually lasts for one or two hours. Since the summer heat is at its peak, it is better to avoid a few activities during your visit to Kerala in May. Trekking, photography walks or cycling are not advisable at all. In fact, trekking spots are usually closed in May. During the summer, there is a high risk of forest fires. So you must definitely avoid camping in the forests. The backwaters become humid and beaches become hot, especially in the afternoons. So beach activities and canoe rides are enjoyable during summer. The heat makes it a bad time for Ayurveda also. And as mentioned earlier, most waterfalls in Kerala are completely dry during summer. So waterfall visits would be a waste of time. Dates : Month of May – The day when the moon rises with the star named Pooram in the Malayalam Calendar month of Medam. During your visit in May, only carry light-coloured cotton clothes. Khadi clothes are a good option. Take with you comfortable clothing like short or Capris. Women can wear dungarees, frocks, tops, tees and pants depending on their comfort. Also make sure to carry hats, umbrella and a good sunscreen lotion. During May, the weather in Kerala is hot and humid. Hill stations, however, enjoy a pleasant climate. They actually take on an added charm because of the shimmering sun rays. But at other destinations, temperatures reach up to 35 degrees Celsius. The backwaters and beaches get hot, especially in the afternoons. The first and foremost benefit of visiting Kerala in May is the low tariff rates at hotels and resorts. You get complete value for money wherever you stay. It means that you will enjoy the best of luxuries at a very reasonable cost. And isn’t it a great feeling to know that you’ve got value for your money during a holiday? I would say it’s the best feeling for any traveler. Secondly, the hill stations of Kerala have amazing beauty during the summer months. The weather is pleasant but the environment is happy and bright. That’s quite a combination, isn’t it? And if you’re lucky, you could see the mist in the mornings which makes the place look heavenly. Since May is not a peak tourist season, you have no need to book your accommodation much in advance. You can do last minute planning and still get a good deal. And unlike other seasons, there won’t be any long queues at sightseeing or activity spots. As I have repeatedly mentioned throughout this blog, the month of May is hot and humid. So you cannot enjoy activities like camping, canoeing, trekking, waterfall visits etc. 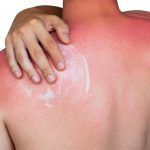 The heat will not allow you to have a great ayurveda experience either. Nor can you enjoy cycling tours or photography walks. And when it comes to accommodation, you must take rooms with air-conditioning. Non AC rooms will just ruin your sleep. Take a look at the best ways to beat the heat during the summer season in Kerala. Please note that since May is a hot month in Kerala, you cannot enjoy outdoor activities to the full. But if you plan your trip well by choosing the right destinations, activities and accommodations, you can have a great holiday which is a complete value for money. The hill stations enjoy wonderful weather conditions in May. So spend most of your time at the hill stations. And a big advantage of visiting in May is that you get great accommodation facilities at low prices. So take full advantage of that provision. I hope this blog helped you to get an overall view of Kerala in May so that you can plan your trip well. Also, please share this blog with friends who are planning to visit Kerala this May! Enjoy travelling!